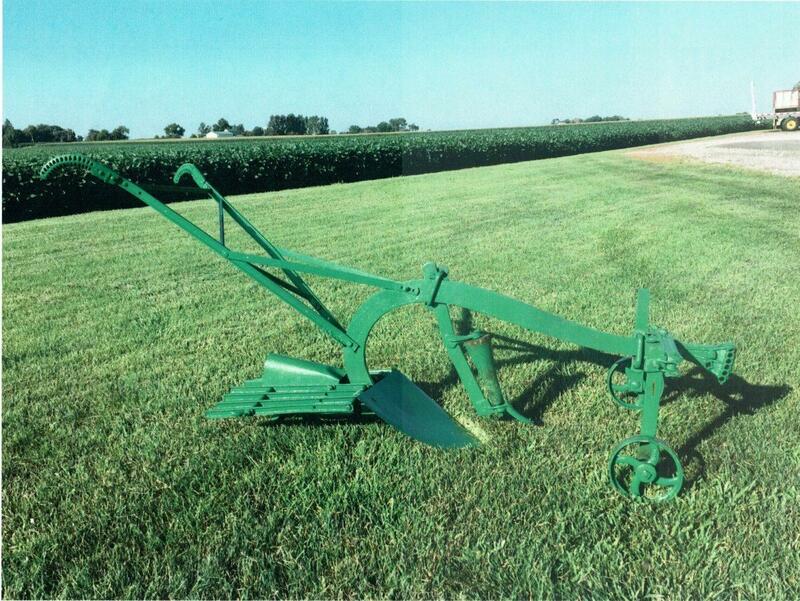 This restored John Deere Shaker Potato Plow was shown in a 1926 John Deere Plow Company catalog. It is possibly a circa 1923 model. An ideal implement for a limited area of potatoes. It is designed to be a horse drawn walk behind plow. Its operation is extremely simple and proved to be an effective labor saving device. The wooden roller is designed to clear away weeds and vines ahead of the blade. The flat blade is designed to cut into the hill and get under the potatoes. The shaker wheel behind the blade agitates the grate and shifts out the dirt, leaving the potatoes on top of the ground. The gauge wheels are adjustable to regulate the depth of the blade. The digger weighs 152 pounds.